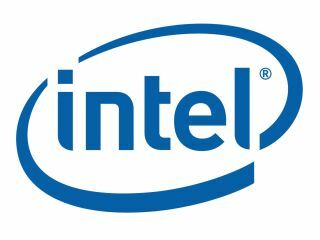 Intel, the world's largest chip maker, has stopped and recalled all shipments of the 'Cougar Point' chipset, affecting all laptops and desktops which use its new Sandy Bridge processor. Intel explained that the problem was with its Series 6 chipsets that are used in all new Sandy Bridge-based laptop and desktop PCs. It seems that the recall is down to the a problem with the SATA ports within the chipset, which "may degrade over time, potentially impacting the performance or functionality of SATA-linked devices such as hard disk drives and DVD-drives". Following the announcement of the problem, Intel has cut its first-revenue forecast by $300 million (£187 million) this week, with the total costs of repairing and replacing the faulty chip estimated to be around $700 million (£437 million). "It was the result of a series of stress tests conducted on the chipset. It didn't show up under normal testing," explained Intel spokesman Chuck Mulloy. "The problem wouldn't happen immediately but after two to four years." The problem really could not have come at a worse time for Intel, with the company facing increasing competition from the booming and fast-growing demand for smartphones and tablet PCs, with Cambridge-based ARM currently leading the way in those markets. Intel plans to deliver a fix for the problematic Cougar Point chip in late February. For the time being, Intel assures those users with new Sandy Bridge PCs that they can "continue to use their systems with confidence, while working with their computer manufacturer for a permanent solution".